Milk companies have routine tests for antibiotics in milk and farmer penalties for any mistakes are very high. So, farmers are always diligent in keeping this milk separate. This milk is either fed to calves, or increasingly tipped into the effluent system. The MPI decision not to test the hospital-herd milk for Mycoplasma bovis is an interesting one. It would have been more logistically difficult than testing the bulk milk, requiring the support of every farmer, and not just the processing companies. But what this non-testing of sick-cow milk means is that the spring testing regime is essentially for sub-clinical cases where a cow is shedding the organism despite being healthy.The problem here is that most sub-clinical cases do not shed, and if they do it is only sporadic. It seems that MPI will be testing the bulk milk in two ways. One will be the standard method called PCR which searches for both dead and alive DNA from the Mycoplasma bovis organism. A positive result can be taken as confirmation that there is at least one infected animal in the herd. A negative result simply means that no animal is shedding. The chances that an animal will shed the organism increase markedly if that animal is stressed. Calving is one such stress event, particularly under New Zealand conditions where metabolic conditions often arise at calving related to feed and weather stress occurs at this same time. Given the spread-out nature of calving over a 12-week period, then if a herd has a high percentage of healthy animals that are sporadically shedding, there is a reasonable chance that a PCR positive result will be found by one or more of the three PCR tests. But if there is only a small proportion of the herd that is infected, then it could be hit and miss. MPI already has some experience of PCR testing from bulk-milk testing this last autumn. They found positives with only three herds, and in at least two of these cases it was autumn-calving cows. So, that gives some support to the notion that the spring testing, when there is much more calving occurring, may be successful. One caveat concerning the likelihood of success is that the positive PCR tests found last autumn were in herds already under intensive Mycoplasma bovis surveillance for other reasons. And it took many negative tests before a positive was found. This intensity of testing across all New Zealand herds is not logistically feasible. It would seem that MPI also plans to test the bulk milk using what are called ELISA methods to search for antibodies to Mycoplasma bovis. This type of testing has previously been done at the level of the individual cow using blood samples but not at the herd level using bulk milk. Measuring antibodies within the bulk milk raises multiple challenges. The first issue is that the level of antibodies is likely to be highest in colostrum, but colostrum does not go into the bulk-milk vat. The second issue is that the ELISA tests often pick up false positives from Mycoplasma organisms other than Mycoplasma bovis. Therefore, some false positives will almost certainly be found. The next challenge with the ELISA tests is to decide what level of positives is required before a herd can be considered positive. This has also been an issue with ELISA testing of individual cows where MPI has had to use arbitrary cutoffs as to the percentage of cows that can be positive before warning bells ring. When testing individual animals, it seems that five percent and seven percent cutoff levels have been used, but either way it is arbitrary. With bulk-milk testing, making these judgements become even more challenging, with no prior scientific validation to provide guidelines. As I have said many times before, this Mycoplasma bovis is a real tricky little devil, which arrives like a stealth bomber with superb anti-radar jamming devices. This means that at best the ELISA testing can provide warning bells. 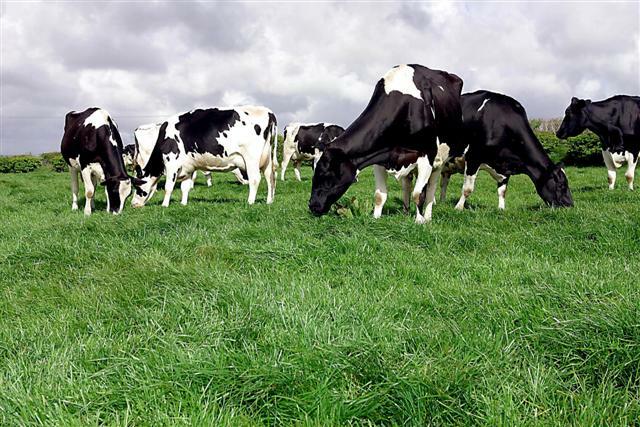 The big-picture conclusion from all of the above is that spring testing will be likely to confirm whether or not Mycoplasma bovis is endemic across many of New Zealand’s breeding herds. But none of us think that it is endemic across a large proportion of herds. The problem is that if eradication is to be successful we have to find it in every herd where it exists, not just the majority. Accordingly, what the spring testing cannot achieve is a conclusion that we have defeated the little devil. That is why the Technical Advisory Group (TAG) advised that this was going to be an eight to ten-year battle before success could be claimed. Of course, defeat might come much sooner. Hopefully, MPI will also be prioritising particular herds that are at highest risk. The infected herds to date have been primarily those with imported Holstein-Friesian bloodlines. This is not because these cows are naturally more susceptible, but simply because it seems that this is where the stealth bomber first arrived. From there, the organism has transferred to similar herds through sales of progeny. Based on one particular disease outbreak in 2014 which is very suspicious for Mycoplasma bovis, I can identify approximately ten farms that would seem to have been at particular risk of infection through animal transfer. These farms need to be investigated very thoroughly but to date this has not occurred. If they are positive, the forward traces will fan out from there. Unfortunately, there is another group of between 70 and 100 heifers which I regard as being particularly susceptible but no-one knows currently where they ended up. These animals are high risk because their bull-calf brothers are confirmed positive (two properties). However, there is a good chance these could be traced with a diligent investigation, although it seems they probably went to multiple properties. The other big challenge in all of this is the logistics at MPI. As any military officer would know, you have to build the army before going into battle. With Mycoplasma bovis, that has not been possible. The stakeholder reports from MPI indicate they are currently undertaking about 3200 laboratory tests per week and that there is a backlog of about four to five weeks between collection and testing. I am also aware of parties that were advised they were a forward-trace property more than four months ago but are still to see the testers turn up. The number of NOD (notice of direction) properties with movement control has been declining in recent weeks but MPI has provided no interpretation of what is happening. Given that the testing can only be indicative, then it is likely that the decline reflects an easing of criteria. It cannot be an ‘all clear with certainty’. We must remember that a test result of ‘nd’ means ‘not detected’. Unfortunately, it does not mean ‘all clear’. This is a marathon, not a sprint, and it does seem that ramping up the testers and the speed of each lab test cycle, would be an obvious first step. If they arent testing hospital milk or colostrum they dont want to find the true extent of it then do they? Belle, I think they have decided this on logistical grounds. But it does illustrate the extent of the challenge. Hi Keith, once again a very good article. I have reread. Summary. The logistics are such that they cant beat it. The blood tests arent responsive enough. The backlog on testing is too long. They dont have the staff. Its already moved further than they thought. Its been here longer than they thought. Its entrenched now in the sheep and beef industry via dairy beef calves and milk. Bulk milk testing healthy cows is not the answer to finding where it is hiding. Blood testing beef cattle once and declaring them all clear is a nonsense. They have given up looking for some animals that are forward contacts because its too hard. Its not looking positive. So to speak. via liftime id rather than nait as the owner will have put them into the herd by now. I've been critical of MPIs comments on NAIT compliance and supportive of farmers in the past, but we just had a mob of r2yr onto the place in June. It took more than a month to get the required info out of the seller, literally half of them had calved by that time. The particular R2 animals I am thinking of (probably about to calve now) started their lives under the false assumption they were bulls and were raised with a large number of bull calves from multiple sources, with two groups of these bulls having subsequently had very high MB infection rates. The heifers were sold separately and will have probably gone into the LIC database as unrecorded animals ( if they are in the database). However, if MPI really wanted to find them ,and allocated some boot leather and some good old fashioned detective skills, I think they could find them as they did go through saleyards. However, I doubt that anyone in MPI has actually worked out that these animals even exist, as it would have required back tracing and then forward tracing from there. It is not at all uncommon for large-scale bull calf rearers to end up with a sprinkling of heifers in amongst them. Interesting. Thanks Keith. It's the tricky stuff like this that you never think of unless you actually experience it.